Our wholehearted vision is that with the right support, individuals with special needs and/or disabilities, can achieve things beyond their (or even their parent’s) wildest dreams. We are here to provide that assistance and in so doing create strong, united and happy families. Wraparound Partnership is a social enterprise working to help individuals with Special needs and their families reach their full potential. As a social enterprise we are driven to maximise social impact rather than profit. We fundamentally believe that co-ordination, collaboration and conversation between the individuals, families and the organisations that support them is key to achievement, and our goal is to ensure this happens. We understand that the complexities and emotions involved can at times hinder progress and so are here to provide an independent view or hand to hold. Our team are trained to the highest standards and have certification in Independent Support, Independent Advocacy and IPSEA SEND Adviser training. We also have team members who have qualifications in Safeguarding, child protection and are trained, qualified and experienced teachers and SENCOs. We have experience of working with many different special needs and disabilities, and have extensive knowledge of the health and social care sector, including the complexities surrounding personal budgets. We all have personal and/or professional experience in the world of special needs and/or disabilities. Wraparound Partnership started life as an idea in our Founder’s head, being a mum of three children, one of whom has severe learning difficulties, along with being a SENCO for many years, she could see families coming to her needing support in many different areas of their lives: often having conversations not just around educational need and provision. She could see that one issue impacted on others and this in turn impacted on the child’s progress. After spending one evening counting up the number of professionals, services and agencies involved in her own family’s life and being able to, just about, co-ordinate that (35 at the last count), she wondered how families who did not have her knowledge and experience managed. Not being driven by profit is vitally important to us here at Wraparound Partnership, everything we do is about supporting the child, young person, adult and their support networks the best we can. This is our purpose and our vision, any profits we make are invested to support those on low incomes. 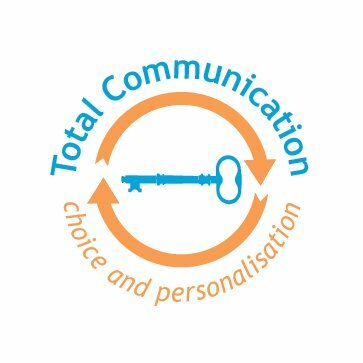 Our founder, due to being professionally involved in the reforms to special needs could also see the forthcoming focus on joint commissioning of services, personal budgets, personalisation with the focus firmly on aspirations and outcomes not process and provision. Here at Wraparound Partnership, we have our own aspiration. We want to change the world. We want to make it a better place for those with additional needs, so that they can lead the best life possible. It would be fantastic if you could join us in making that change happen.